Porcelain spice jar from the Spice Market Collection. 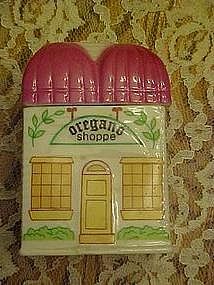 Oregano Shoppe measures 2 3/4" tall and is in perfect condition. made by International 1990. Freshness gasket on the lid. Never used. Pristine condition.